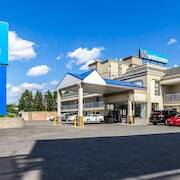 This Elizabeth hotel is just off the New Jersey Turnpike, a half-mile from Newark Liberty International Airport and 5 miles from Penn Station. 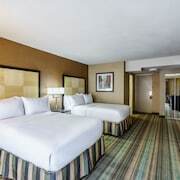 Via complimentary 24-hour shuttle service, this hotel is a half-mile from Newark Airport station P4 and train connections to New York City, 12 miles away. 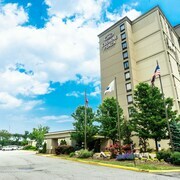 Courtyard by Marriott Newark Elizabeth is off of I-95 (the New Jersey Turnpike) and across the street from Jersey Gardens Outlet Mall. Terrific property and staff. I’ll be back. Thanks for the upgrade. 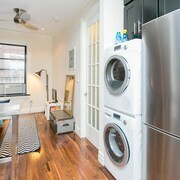 Nice, clean, location. Did not like the renovation to the main entrance but I understand. Which hotels are closest to the Elizabeth airport? 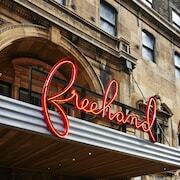 Where to stay near top Elizabeth attractions? What kind of hotels are in Elizabeth? 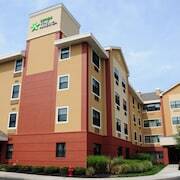 Which hotel chains are in Elizabeth? Travelers to Elizabeth give high marks for the shopping and top-notch restaurants. Tourists who journey to this welcoming city can discover its entertainment choices, monuments, and opera houses. Statue of Liberty, Ellis Island Immigration Museum, and Ellis Island are some of the top sights around the area. The city is notable for its monuments and landmarks such as St. Patrick's Church. The city is well liked for its places to shop, and Jersey Gardens Outlet Mall is a favorite for retail therapy. Additionally, in the area you'll find Statue of Liberty and Ellis Island Immigration Museum. 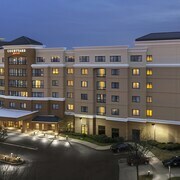 Embassy Suites Newark Airport - This 3.5-star hotel features free breakfast, a restaurant, and an indoor pool. It's a favorite with Expedia travelers for its breakfast and proximity to the airport. 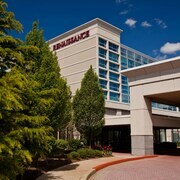 Renaissance Newark Airport Hotel - Our customers like the bar and overall value at this hotel. 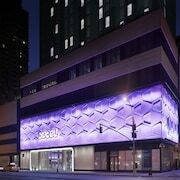 This 4-star hotel features a restaurant, a fitness center, and a bar. 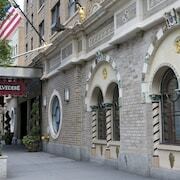 Courtyard Newark Elizabeth - This 3-star hotel features a restaurant, an indoor pool, and free WiFi. Expedia customers like its dining options and helpful staff. In the surrounding area, top places to visit include Ellis Island, located 8.4 mi (13.5 from the city center, and Brooklyn Bridge, which is 10.7 mi (17.2 away. To venture out into the surrounding area, hop aboard a train at Elizabeth Station or North Elizabeth Station. Elizabeth might not have as many public transit options to choose from so consider renting a car to explore the city. 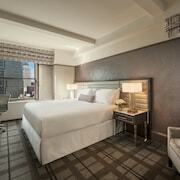 What are the most popular hotels in Elizabeth? 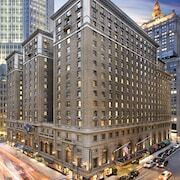 Are there hotels in cities near Elizabeth? Explore Elizabeth with Expedia.com.au’s Travel Guides to find the best flights, cars, holiday packages and more!